Tableau, Qlik, Cognos or Microsoft Power BI? Today we are surrounded by data visualizations. They impact what we buy, where we spend our time, how we interact with society, and, ultimately, influencing businesses decisions and even nations. We will be discussing some basic principles in data presentation and showing some of the tools available today. "Hands down, No. 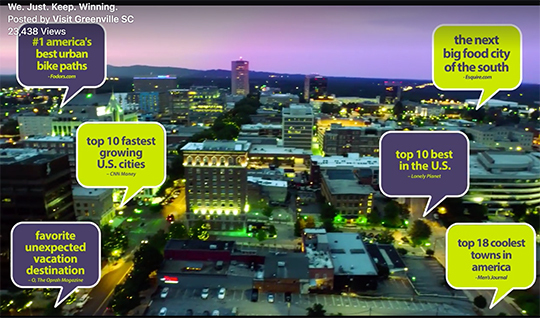 1, not even a close second, workforce""
Top executives at four chambers of commerce in the Upstate said their advocacy and lobbying for business interests are regional and they are rarely competitors. They agree that with thousands of vacant jobs in the Upstate, workforce development is a major challenge.